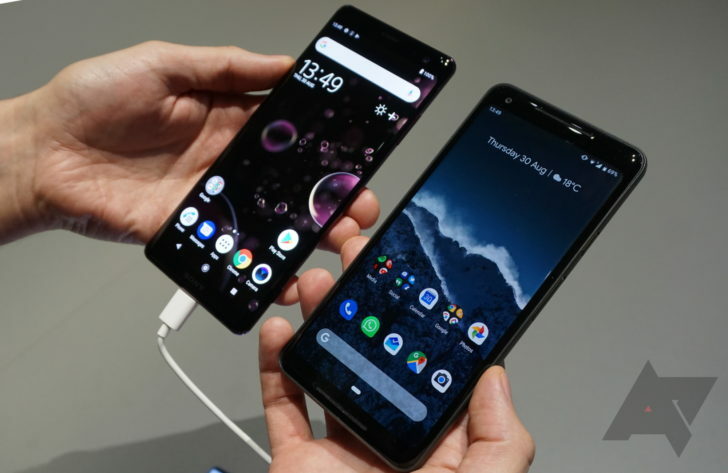 The display is the biggest upgrade over the XZ2. The XZ3 has a sizeable 6-inch curved OLED panel. It's an 18:9 display with a resolution of 2880 x 1440. That's a serious step up from the flat LCDs the company used on phones previously. I was quite impressed with the quality of the display, too. It was bright and readable even under the harsh display lighting, and Sony says it supports HDR content as well. 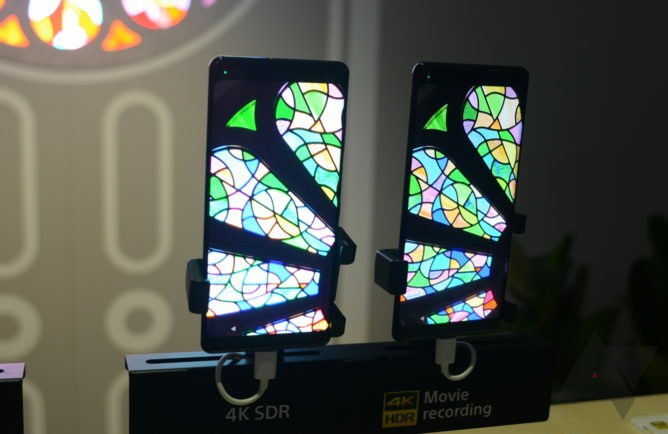 I suspect this is a Samsung OLED panel, but Samsung's phones use a slightly taller aspect ratio. The curve on the left and right edge might also be a bit less extreme. Sony talked up its "ambient flow" design language, which governs the overall aesthetics of its phones. In this case, that means the curved glass front merges smoothly into the aluminum edges of the device. 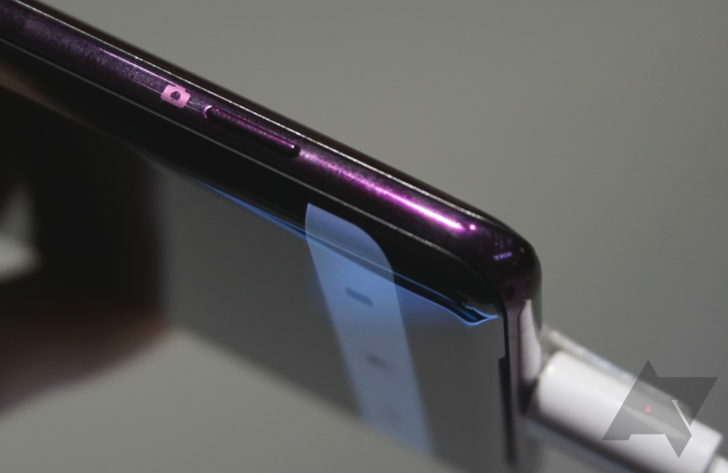 Samsung phones have a bit of a lip around the edge that (I suspect) is supposed to make them easier to grip. The XZ3 is smooth and feels very high-end, but it's also slippery as hell. 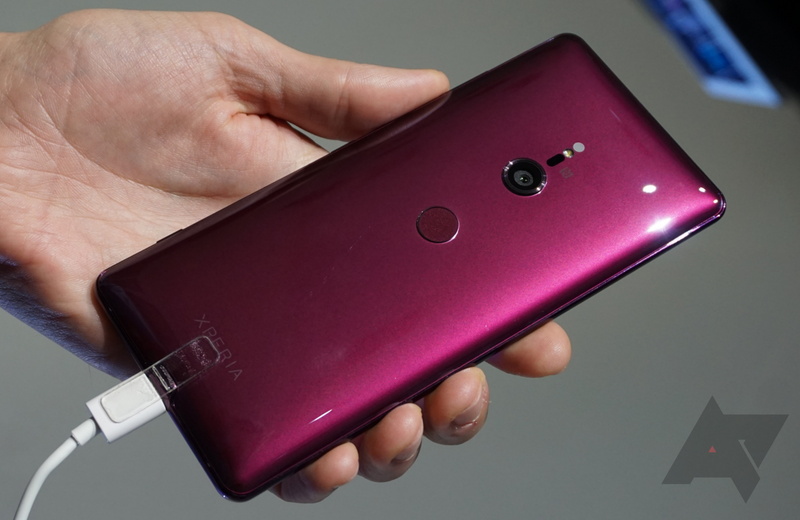 This is still Sony, so the XZ3 won't shake some or all of Sony's design signatures. For example, the device is still rather thick overall. The rear glass panel tapers toward the edges to make it feel less substantial, but it's still 9.9mm thick, and you can tell. Sony also insists on putting its fingerprint sensor in the middle of the back panel—way too low. Most phones with rear-facing sensors have them in a more natural place. Sony is sticking with a physical camera button on the side, which Sony fans will appreciate. There's just the one rear-facing 19MP camera. It supports 4K video and 960 fps slow motion. There's a video sample of that below. It's a bit noisy, but the motion is very smooth. 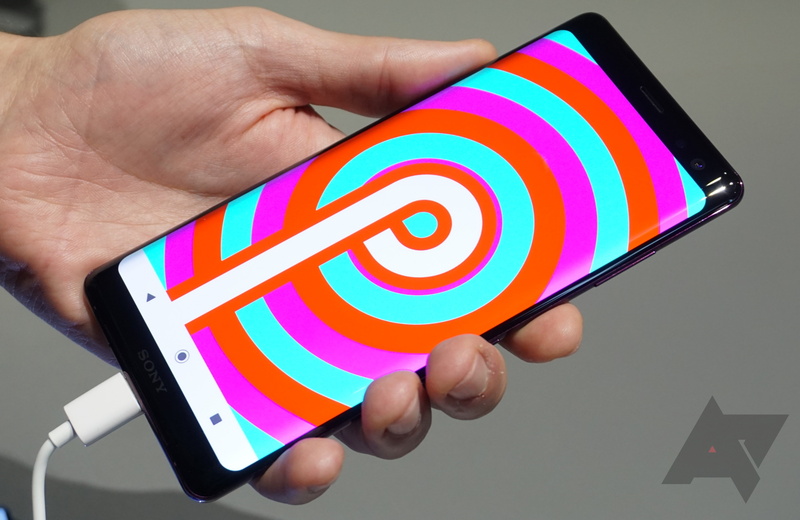 On the software side, this phone will run Android Pie out of the box. So, you get features like adaptive battery and app actions. The XZ3 appears to only support button navigation—there was no option in the settings to enable gesture nav. Sony is also touting its own Xperia AI features (because everything is AI now) to launch the camera and recommend apps. The phone will automatically launch the camera when you hold it up like you would to take a photo. The "Side Sense" feature lets you tap on the edge of the phone to open a panel of suggested apps. Sony generates the list based on your usage patterns over time, but I couldn't get this feature to work at all on the demo unit. I'm still baffled by Sony's decision to use a button for the app drawer. Launchers are clearly moving toward swipe gestures, which are easier to use and save space in the dock. I will give Sony points for including the Google Feed in its launcher—it was among the first to do this, and the XZ3 keeps with tradition. 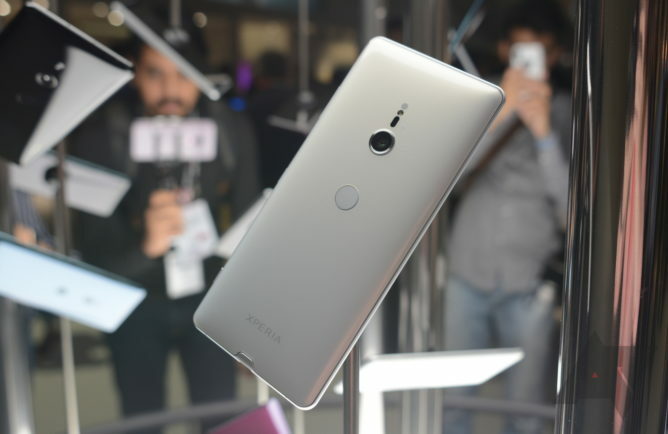 Sony is looking to sell this phone for $900, which is a very Sony price. That's going to be a tough sell, even if the phone is good. And I think this phone will be good. This seems like the most impressive Sony phone in years. I don't know if it will compete with the likes of the Pixel and Galaxy S9, but Sony is closer to the mark.